HomeCinemaMasalaShraddha Kapoor’s hatrick with Mohit Suri and the team! Shraddha Kapoor’s hatrick with Mohit Suri and the team! Shraddha Kapoor shot to Fame, with her 2013 blockbuster hit Ashique 2. Post Ashique 2, Shraddha again joined hands with the same team for Ek Villain, no choices for guessing, as Ek Villain also became a huge Hit. 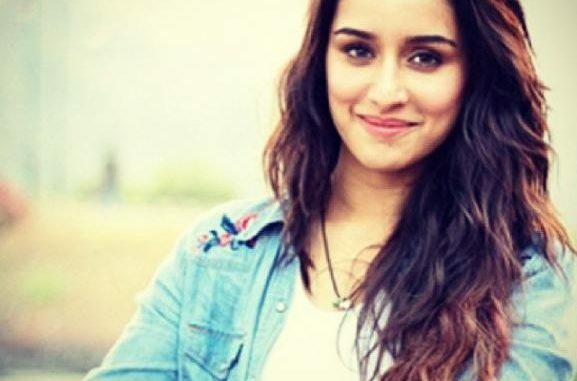 Now the Baaghi actress is on board for Mohit’s next ‘Half Girlfriend’ and is working again with the same core team on the film.The crew was happy to work with Shraddha again, as they share a great rapport and have developed a great bond over the course of time. Shraddha had a great time during the month-long schedule of the film. “We had a blast shooting in Delhi, which I consider my second home. But since we were on a tight schedule, there was no time to hang out with my family members who live there,” added Shraddha. The actress has gone way ahead of her contemporaries by delivering back to back hits like ABCD-2 and Baaghi. Shraddha will be seen next in Rock On-2, which is a sequel to the hit film Rock On. The Crime Branch of the Delhi Police has arrested nine people and registered six cases in connection with the Great Grand Masti online leak. Deepika’s real life on screen!